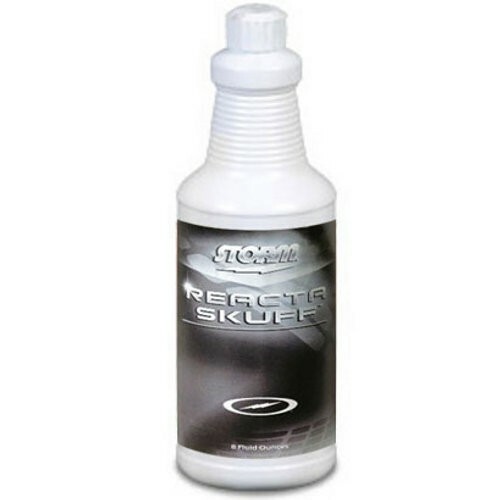 Restores the surface profile which creates a stronger ball motion. Acts as a de-oiling agent.Works well either by hand or ball spinner. Generates more entry angle on longer oil patterns and thus helps you strike more. This is by far the best cleaner for dull balls. I prefer the look, feel and reaction of scuffed-up balls and this cleaner is made for them. I will never use anything else for daily cleaning. Due to the time it takes to produce the Storm Reacta Skuff Quart ball it will ship in immediately. We cannot ship this ball outside the United States.